للمسافرين الذين يرغبون أن يعيشو كل ما تقدمه حوكتيكا, Beachfront Hotel هو الخيار الأمثل. يمكن من هنا للضيوف الاستمتاع بسهولة الوصول إلى كل ما تقدمه هذه المدينة النابضة بالحياة. إن سهولة الوصول من الفندق إلى المعالم السياحية الشهيرة الكثيرة في المدينة كمثل كيوي سنتر, TP Goldsmiths, سيورتس وورلد هو استثنائي بحد ذاته. إن Beachfront Hotel حريص على توفير الراحة للنزلاء، فلا يوفر الموظفون جهداً في تقديم أفضل الخدمات وضمان حسن الاستقبال. تتضمن الميزات الرئيسية في هذا الفندق: واي فاي مجاني في جميع الغرف, خدمة التنظيف يوميًا, متجر هدايا/تذكارات, مرافق مخصصة لذوي الاحتياجات الخاصة, تسجيل وصول/خروج سريع. تتضمن كل غرف النزلاء وسائل الراحة والتسلية المصممة خصيصاً لضمان الراحة القصوى للضيوف. سواء كنت من محبي الرياضة أو كنت تتطلع لتفريغ عناء نهار صعب، ستجد خدمات ذات مستوى عالي بانتظارك كمثل مسار جولف - ضمن 3 كم, حديقة. استمتع بخدمات لا يعلى عليها وعنوان ذو اعتبار في Beachfront Hotel . Nicest hotel in town for sure, with a lovely restaurant overlooking the beach. Quite expensive. My room was comfortable but felt unfinished, very plain and overlooked the carpark.. why not put up some pictures on the wall, there is plenty of great local art! Staff helpful when I tried to check in early. I didn't eat in the restaurant but had a drink in the bar after eating elsewhere which to be honest wasn't very welcoming as things shut down very early but I was allowed to sit there and have a couple of glasses of wine while the staff shut down the restaurant! 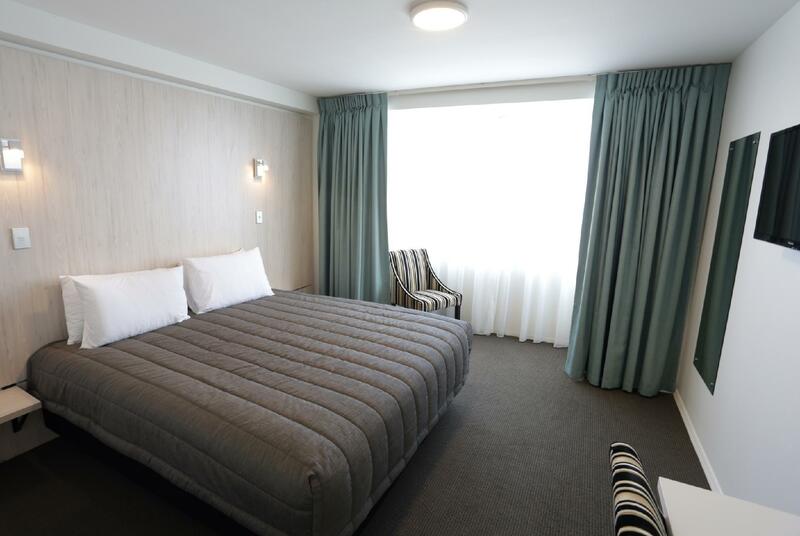 Would stay here again though if I have the money and Hokitika itself is lovely. Can't say anything bad about our stay here! Clean rooms, comfy beds and great location right on the beach. We didn't eat at the hotel restaurant as the prices were a little too expensive. There is a supermarket and a few pubs on the same street within a few minutes walk. Staying in Oakwood rooms which no lift where you have to drag your heavy luggage to the second floor. location is perfect. right on the main beach and tourist spots and town centre. room is very clean. the fright is not cool my water or wines what so ever. no Air con and rooms can get very hot even it was 14 degrees outside and i have to let the window open, and no lock in your window, so i can see everyone can just walk from share balcony and open your window and rob your whole luggage while you out for dinner. The premier room was huge and had everything. Big tv & sound system,comfy couches,heated tiled flooring, & large balcony with stunning views. Great location. The only minor issue was no bathrobes to use when going down to the spa tub. Great stay,thanks. We stayed at this hotel recently when we visited Hokitika, NZ. While I accept the work going around the hotel, finding Reception was a bit of a mayhem. It was difficult to find and it took us two attempts to find it for us to check in. We weren't the only ones as we had to direct another couple to how to find it. We then had to park amongst the vehicles used by the trades persons working there and the equipment needed for the construction. These aside, it is by the water and we had a fantastic view and so close to it which we loved. The location is also very central and walking distance of the main town. The room itself is clean if a little small. TV channels are also very limited and costly to pay for a movie to watch! All in all, I look forward to seeing the place again on our next visit. We only stayed one night, upon check in were offered to upgrade to a sea view room if we wanted to pay the difference, however we chose to stay in our selected room. It was small but perfect for the two of us for a night. Although there were renovation going on at the time, we didn't hear any construction from our room, but we did have a little bit of noise from other guests walking the hallways and closing doors. We ate dinner at the restaurant in house and the food was exceptional. I ate a chicken dish and it was full of flavour and nice and juicy. I would definitely come back to the little town again and stay at the Beachfront hotel. Enjoyed my stay. Short walks to the beach and town center. Location, cleanliness and staff are perfect to me, but having a construction site just outside of the window of my room is quite a bad feeling. What a positive surprise was! At first sight the frontage and entrance to the hotel was disappointing, once we entered the front of the hotel from the hotel parking area it was fantastic. Right on the beach with the sea directly in front made for a lovely and peaceful visit. The rooms were large and clean, the restaurant looking directly onto the beach was great and all staff we met were lovely and friendly. Just what you need after a long drive. Hokitika also offers wonderful craft shops. One of the best stays over 10 days in South Island. We stayed in the penthouse, and it was terrific. The best bath I've ever used! 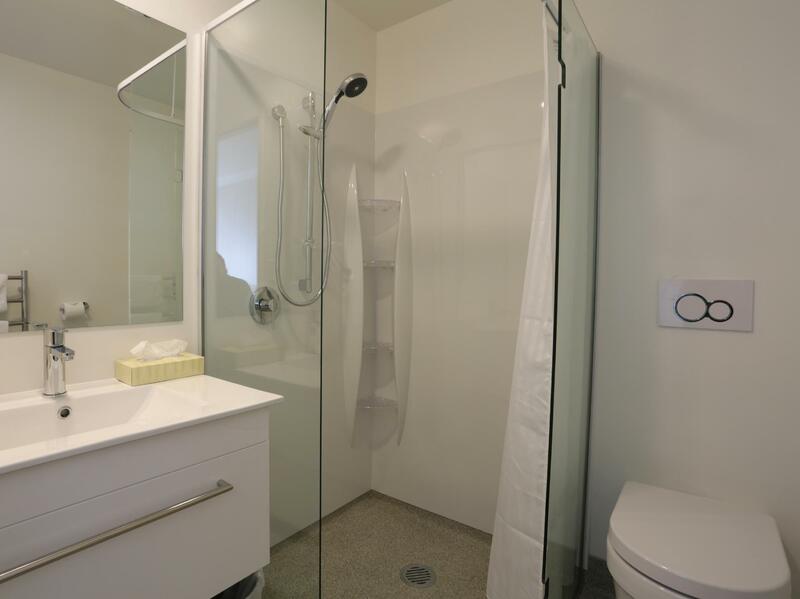 Lovely floor coverings, comfortable bed, amenities, and so on. We booked spur-of-the-moment, and didn't regret it for a second! We had a beach front view room and the view was lovely. The room was very comfortable. The bathroom was nice. There was an elevator to take the luggage up in. I think we were lucky to get the last space in the parking lot. No complaints. Probably the nicest place in Hokitika. It is a decent break journey hotel. Hotitika is a small town. all the resturants are on walking distance to this hotel. The staff is very cooperative as they are available till late evenings for checking in. when you are driving from Nelson please come via the west coast drive. it is a amazing drive. 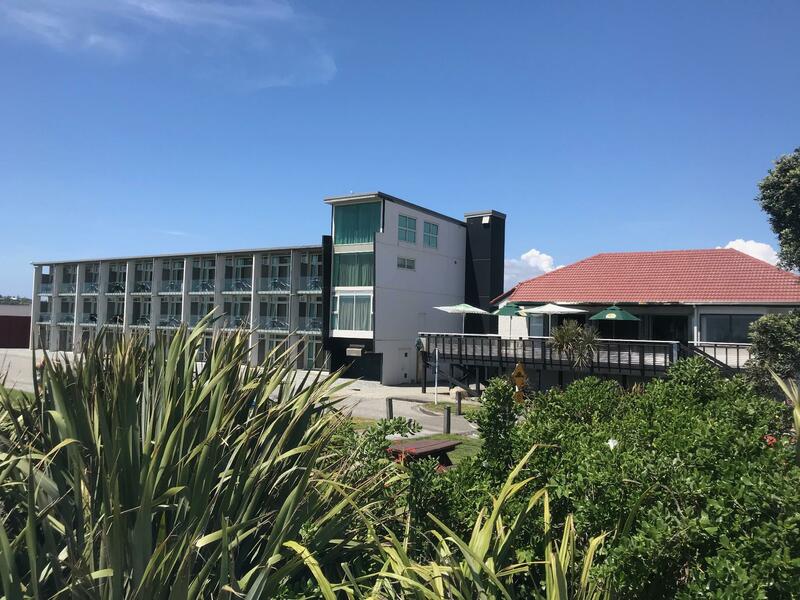 the famous hokitika beach is just right opposite of the hotel, and you can catch the sunset over there, and there are few of restaurant over there, you can just walk to dine in instead of driving, no cook allowable. The hotel is quite old and there were some places in the room that cannot be cleaned, which was a bit uncomfortable. The location is good though, close enough to the beach.